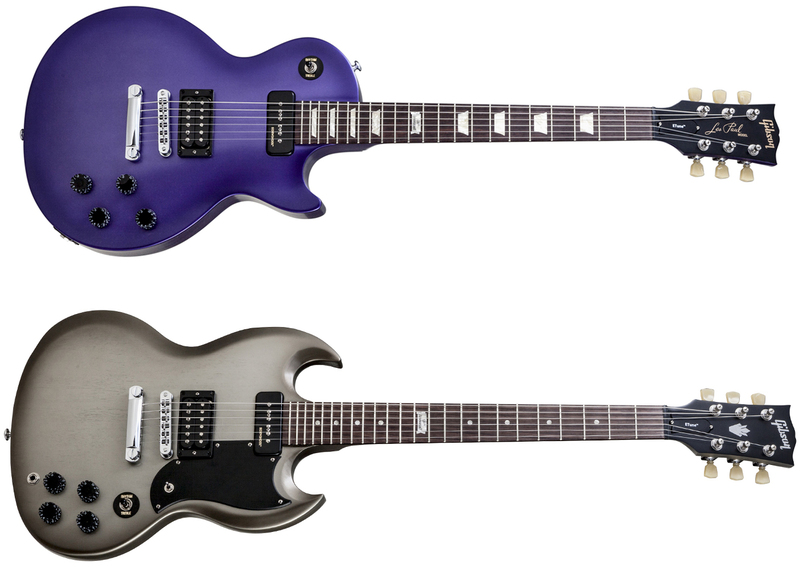 In 2014 Gibson introduced Les Paul and SG models called Futura. If you have not heard of them you are not alone. I stumbled across one while in Spain. These have a few interesting features. The neck pickup is called the Sidewinder P90-H which is intended to give the P-90 single-coil sound in a hum-cancelling humbucker design. However, instead of stacking the coils, the Sidewinder has the coils rotated through 90 degrees connecting to a single centre point to pick up the strings. 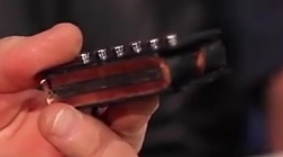 A similar pickup was used on the EBO bass guitars in the 1960’s. The bridge pickup is a standard BurstBucker 3 which have the imbalanced windings that I love to hate. These models also feature coil tap pots and a 15db boost switch for when your axe just isn’t loud enough. This tends to make the guitars a little top heavy at least in the SG model that I tried out. This is probably made worse with the addition of the “Min-Etune” unit on the headstock. Although this does allows for quick tuning and the use of alternate tuning at the push of a button. No binding on the body or neck, like the studio models, and on the whole the finish is OK but not brilliant. However, these models are towards the cheaper end of the range and they pack a lot of features. This entry was posted in Featured and tagged Futura, Gibson, P90-H, Sidewinder. Bookmark the permalink.